Showing 40 articles from July 31, 2013. 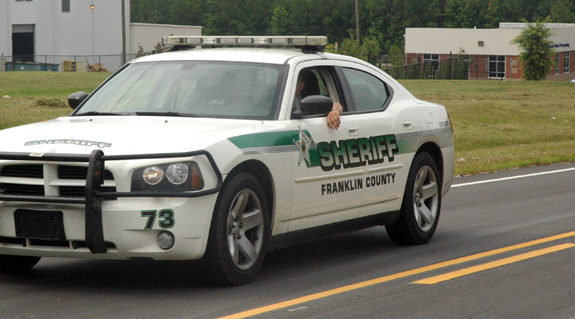 FRANKLIN COUNTY — County residents experienced a nearly 12.5 percent decrease in crime. Louisburg experienced a nearly 10 percent drop in crimes reported through the Uniform Crime Report Program. The town went from 163 reported offenses in the index to 147, from 2011 to 2012. FRANKLINTON — New crime statistics show a drop in major crimes in this western Franklin County town. Law enforcement figures that two new initiatives, one already underway and another that’s set to begin will keep those numbers low. The State Bureau of Investigation released to law enforcement agencies last week crime index data for 2012 — the most recent statistics available. RALEIGH — The most recent Moral Monday brought thousands of protesters rallying in support of education and other resources they argue are being wiped away by a Republican-led legislature. And, just in case his voice couldn’t be heard, Elic Senter took to using a bullhorn. 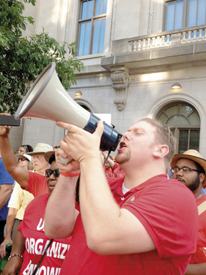 Senter, a former educator, and consultant with the North Carolina Association of Education, said the General Assembly’s assault on education forced him to stand up. 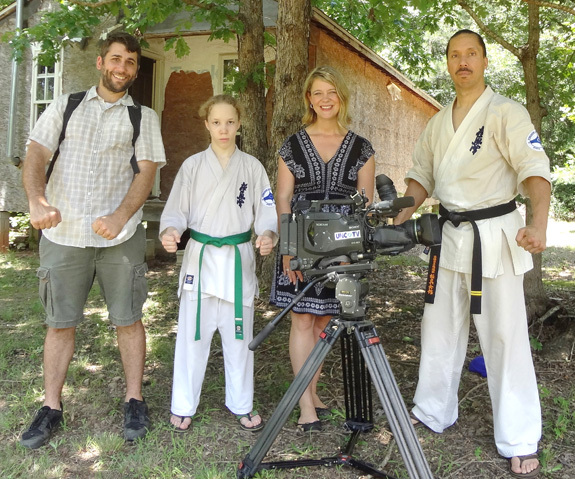 Franklin County resident and activist Rosanell Eaton was recently featured on an Australian Broadcast Corporation newscast focusing on issues involving the North Carolina General Assembly, particularly Moral Monday protests. After huddling in a closed-door secret session last Thursday night, the Franklin County Board of Education emerged and agreed to make an offer to a prospective interim superintendent. The offer was made to Randy Bridges, who lives Burlington, NC., but who has been serving as superintendent of Stafford County Public Schools in Stafford, Va., since 2010. YOUNGSVILLE — With its Swiss headquarters, Sunstone’s chief executive officer noted that Europe seemed like a likely home for the company’s next manufacturing facility. But North Carolina’s climate and Franklin County’s open space was enough to convince the water filtration and purification company to bring Sunstone and its jobs across the Atlantic. The last few days of July have been brutal in the local economy — and we’re afraid the problems are far from over. This Sunday will mark the apparent end of a popular local business, Rigsbee’s Restaurant in Louisburg. The restaurant — which was an updated and upgraded version of the venerable Murphy House R­­estaurant which vanished several years ago — will serve its last meals on Sunday, Aug. 4. 17% approve of the job Congress is doing! Really? A poll conducted by NBC News and the Wall Street Journal recently left us scratching our heads in confusion. The poll said that 83 percent of the respondents disapprove of the job Congress is doing. That’s the highest number for that question since the poll began. 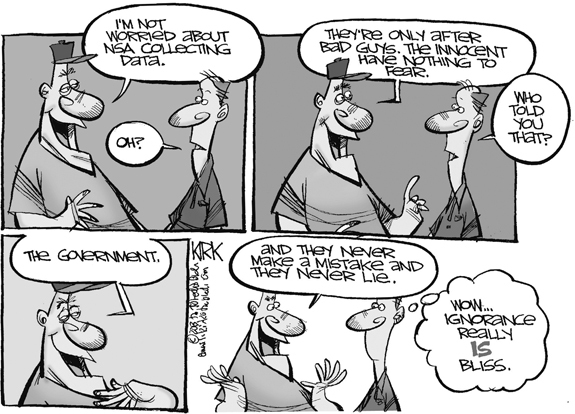 Our confusion comes from the other 17 percent. The front page of today’s The Franklin Times features a story chronicling the crime indices of each of the town’s municipal law enforcement agencies, as well as the Franklin County sheriff’s office. The index does not document all criminal activity, instead focusing on seven types of crimes that criminal justice experts figure give a credible idea of the level of crime in a particular jurisdiction. The Republican-controlled North Carolina General Assembly is in the final stages of passing what it calls Voter Information Verification Act/Election Reform. It is one the most blatant examples of voter suppression legislation in the nation. 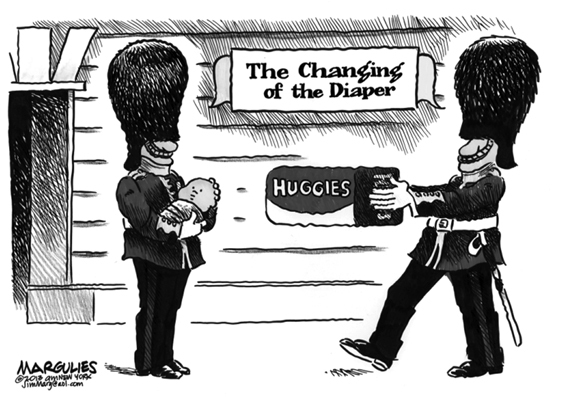 Undoubtedly, its provisions will be the subject matter of many articles here and elsewhere. 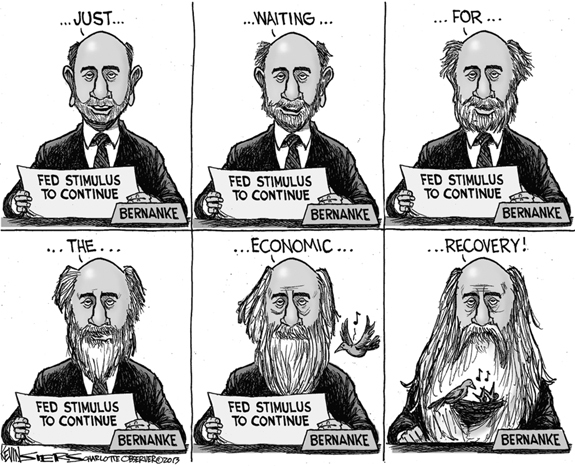 If economic development effort looks like a duck ... ? First Point: If you need it, please buy it in Franklin County. I am sure you will be as unsurprised as I was to learn the Economic Development Commission meeting for the month of August 2013 has been cancelled. For the year this makes five out of eight months the meeting was not held. Translated to productivity, the meetings were only held 37.5 percent of the time. SPRING HOPE – Agnes Layton, 74, died Tuesday, July 30, 2013. Funeral service will be held 2 p.m. Friday, Aug. 2, at Duke Memorial Baptist Church with burial to follow in the church cemetery. ZEBULON - Carl Allen Ayscue, 78, died Friday, July 26, 2013. Funeral service was held Wednesday, July 31, at Rocky Cross Holiness Church. Interment followed in Hephzibah Baptist Church cemetery. ZEBULON - Hazel Tant Boykin, 74, died Friday, July 26, 2013 at her home. Funeral services will be held at 11 a.m. Saturday, Aug. 3, at Hales Chapel Baptist Church, 13396 NC Hwy. 39, Zebulon. Burial will follow at Gethsemane Memorial Gardens, 809 Gannon Ave., Zebulon. FRANKLINTON —Marie W. Wiggins, 73, died Tuesday, July 30, 2013. Arrangements by Cutchins Funeral Home, Franklinton. HENDERSON – Vivian “Apple” Pergerson Dickerson, 83, formerly of Louisburg and Durham, died Monday, July 29, 2013 at home. 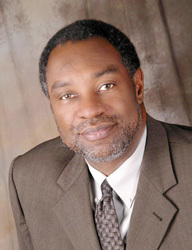 A funeral service will be held at 12 p.m. Thursday, Aug. 1, in the chapel of Strickland Funeral Home with the Rev. Ben Rouse officiating. Burial will follow at Oakwood Cemetery. The family will receive friends 1 hour prior the service. OUTTA THERE. Bunn first baseman Kyle Kettells (left) retires an opponent at first base off a grounder during action at the Dixie Youth Major League State Baseball Tournament. 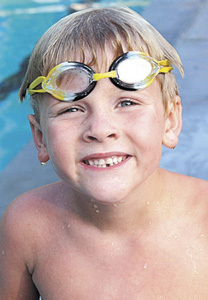 Bunn finished ninth in the annual event, which was held in Lumberton. 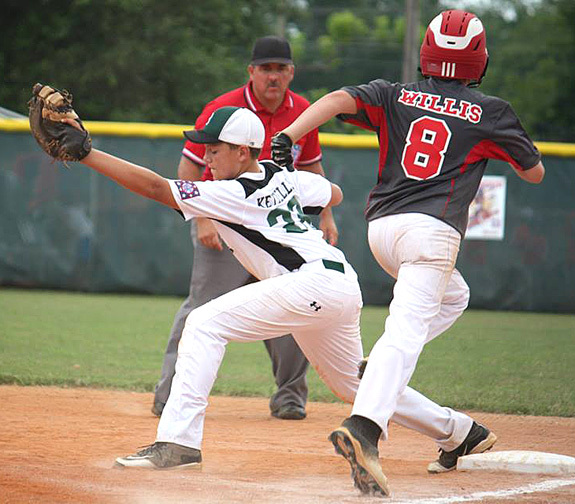 BUNN -- A challenging draw ended up being Bunn’s undoing at the annual Dixie Youth Major League Baseball State Tournament -- but not before the All-Stars were able to unleash their fair share of heroics. Bunn opened with a meeting against perennial powerhouse Dunn in the first game of the event, which was held in Lumberton. 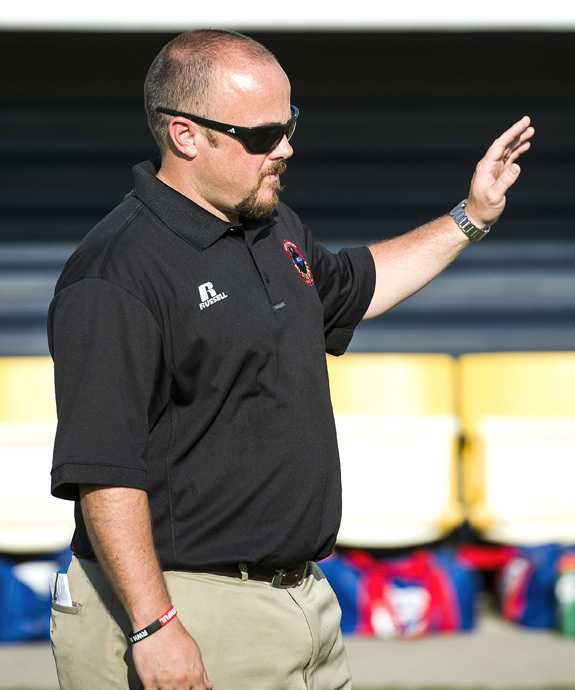 WAKE COUNTY -- Few coaches have the luxury of closing their careers in the fashion Deran Coe was able to do at the East-West Girls Soccer All-Star Game. Coe, who began his coaching tenure at Franklinton and later became the school’s Athletic Director, was selected as the AD for Wake County Schools in the spring. 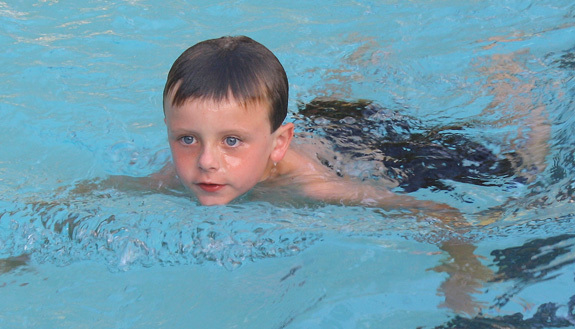 ACTION-PACKED IN THE POOL. Parker Gupton of the Town and Country Stingrays races toward the finish line during last Thursday evening’s home meet against Stone Creek Swim Club from Raleigh. Gupton and the Stingrays will close out the summer schedule today at home against the Franklinton Frogs at the TC Pool in Louisburg. 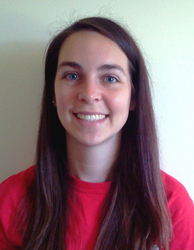 FHS’ Burk to play for Averett U. For a Division III football coach, one of the most important recruiting tangibles is versatility. When a coach from that level assesses high school players, it’s imperative to know that a prospective performer has the ability to excel at various positions. Because of that, coaches can shift roster members due to factors such as depth, injuries and a stockpile of players at a certain position -- or lack thereof. FRANKLIN COUNTY -- A few new wrinkles have been added to the Middle Athletic Conference football schedule this fall. Due to league expansion, the MAC has been split up into two divisions. Franklin County’s four schools -- Terrell Lane, Franklinton, Cedar Creek and Bunn, will be in the East Division, along with Warren County. 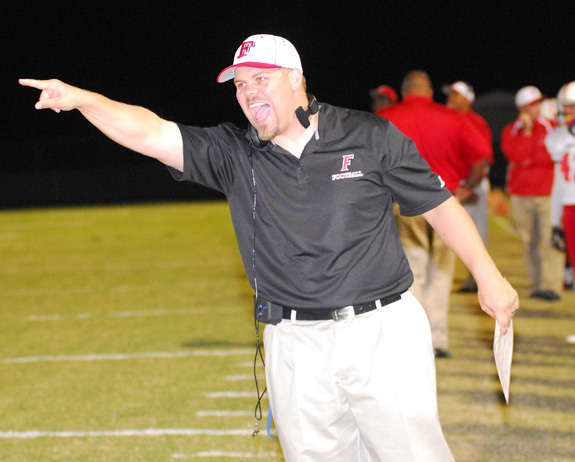 FRANKLINTON -- The first annual Franklinton High School Football Jamboree is scheduled for Aug. 10 on the FHS campus. In addition to the Red Rams, the competitive field will include Burlington Cummings, North Pitt, East Wake, Princeton and Northern Nash. WILMINGTON, DEL. -- Joseph Colon tossed a season-high seven innings as the Carolina Mudcats beat the Wilmington Blue Rocks 6-2 on Tuesday afternoon at Frawley Stadium in a Class A Carolina League baseball matchup. The Mudcats (21-16, 43-64) took two of three from the Blue Rocks (16-22, 49-59) and finished the road trip 5-2. Carolina has won eight of its last 10 outings. TOURNEY TESTED. The Franklin County Royal Knights High School Age AAU Basketball Team won five tournaments this season and were ranked in the Top 10 nationally the entire campaign. FRANKLIN COUNTY -- The Franklin County Royal Knights capped off the major portion of their summer basketball schedule by taking part in four national tournament events in July. 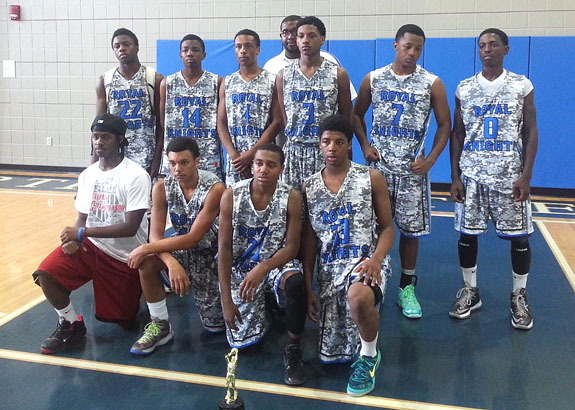 The Royal Knights’ 9-12 Grade Team traveled to Myrtle Beach from July 8-12 and took second place in the USBA Division 2 Nationals. BUNN -- The Bunn High School volleyball team will hold tryouts and its first days of fall practice today and Friday at the Bunn Dome. Times will be from 1-3:30 p.m. each day. A current physical form is required in order to participate. 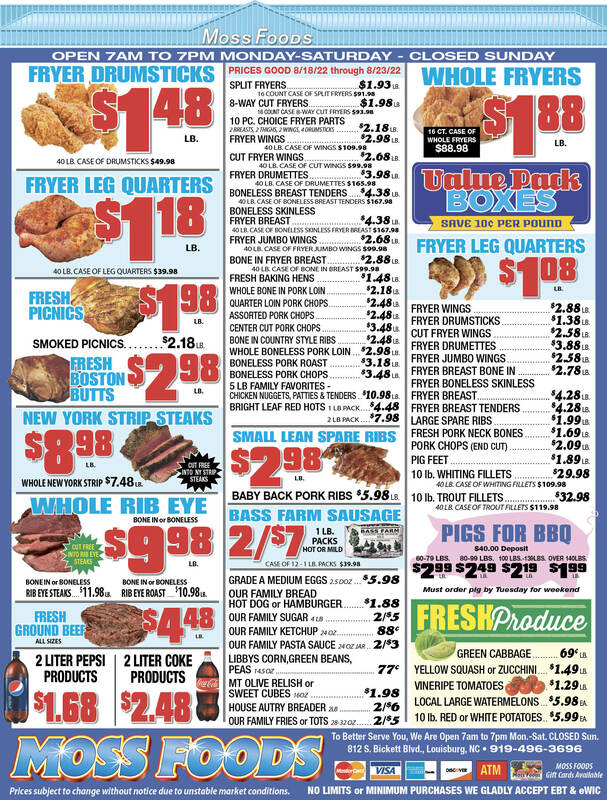 For more information, contact BHS at (919) 496-3975. They did several Kyokushin Karate demonstrations showing basics, conditioning, pad work, full contact sparring, and fighting techniques and combinations. 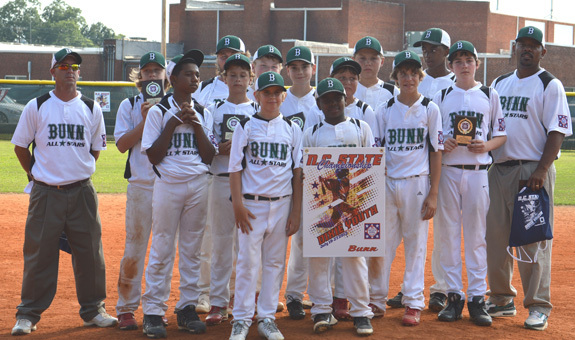 Members of the Bunn All-Star Baseball Team pose after wrapping up their ninth-place performance at the Dixie Youth Major League State Tournament. 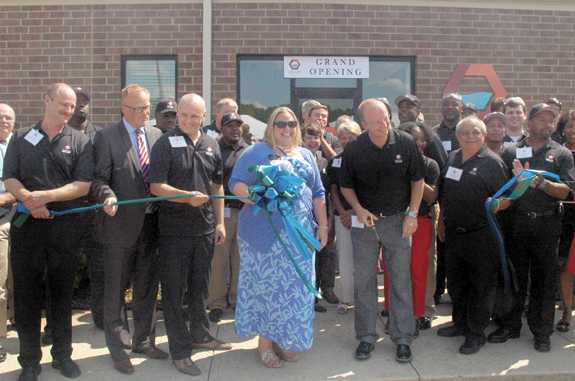 The annual diamond event was staged in Lumberton in Robeson County. 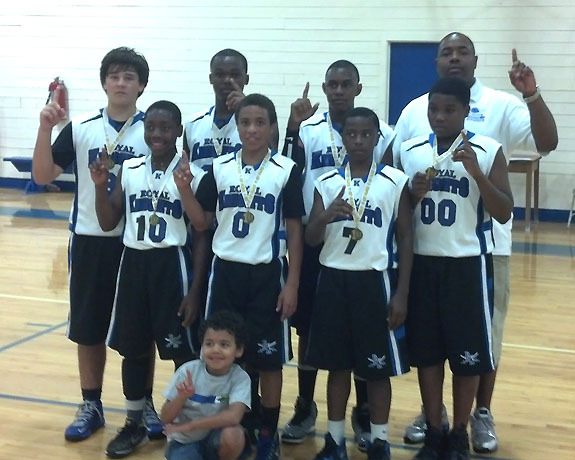 The Franklin County Royal Knights Seventh Grade Basketball Team took the championship last weekend at the Fast Break Scouting Heat Wave Tournament, which was held in Butner. The Royal Knights went 3-0 to take home the top prize from the event. 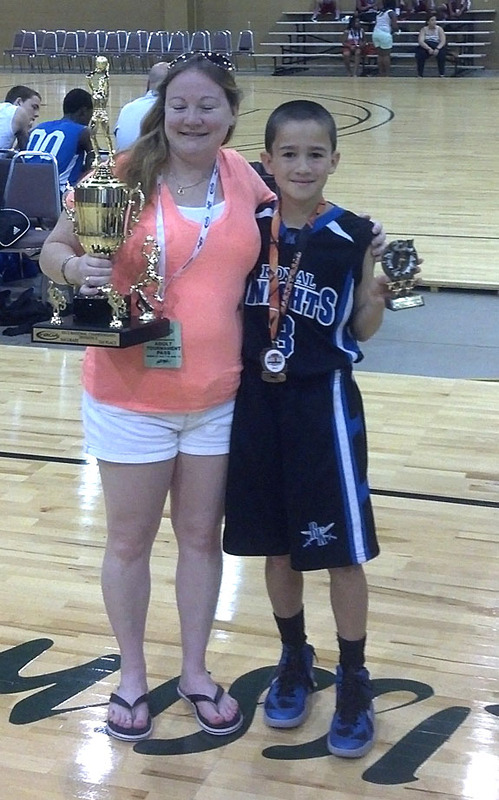 Franklin County Royal Knight Danny Martinez was an All-Tournament selection at the YBOA National Tournament, which was held July 7-13 in Florida. Martinez plays on the Fifth-Grade Team. The relatively mild weather for July has lured more than one angler out to test the waters -- and these two young men found success. 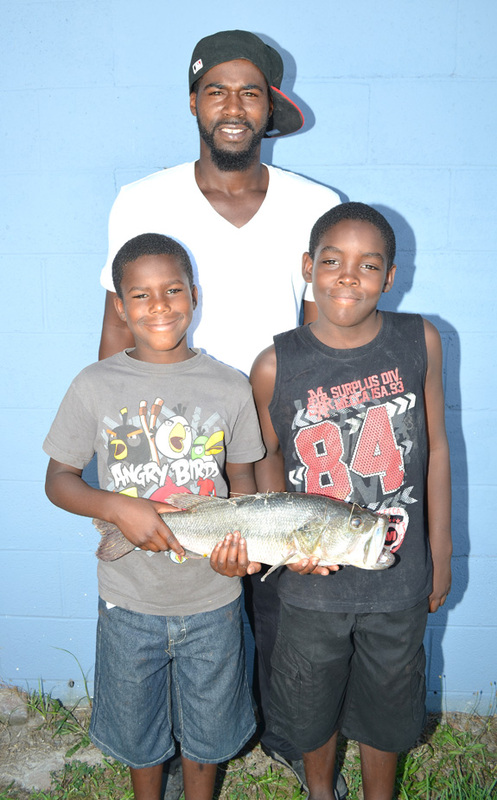 Timothy Perry took Gregory Hicks, 11, left, and Gaquale Hicks, 10, right fishing -- and the boys managed to land a three-pound, nine-ounce bass. For reasons obvious to most anglers, no one was talking about where this fish was caught! Since the early 1900’s, Extension has made a difference in the lives of many individuals, including youth. Extension began reaching youth with the formation of the Boys Corn Club and the Girls Canning Club. Over time, these groups merged into what we know today as 4-H.
4-H is a non-formal education program for youth ages 5-18 who are interested in making new friends, learning new things, and visiting new places. Carolyn Jones of Louisburg announces the approaching marriage of her daughter, Shirbartis C. Jones to Kiva R. Alston, the son of Hattie Alston of Louisburg and Mr. and Mrs. Fred Arrington of Franklinton. 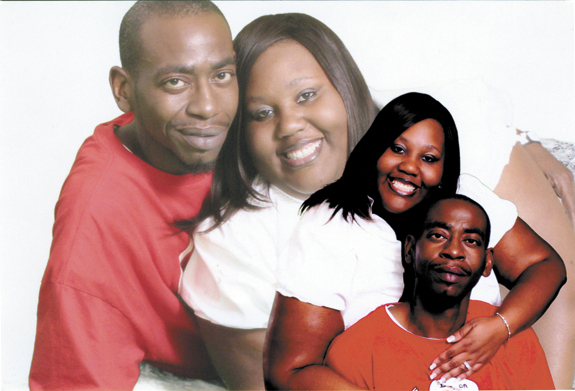 The wedding will take place on Aug. 17, 2013 at 3 p.m. at Greater New Life Ministries, 86 Pocomoke Road, Franklinton. An Army man with Franklin County ties graduated from basic training. Army Pfc. Benjamin W. Costley graduated from basic combat training at Fort Jackson, Columbia, S.C.
Costley is the son of Cristie Barrett of Youngsville and John Costley of Dewitt, Va. He is a 2007 graduate of Dinwiddie High School, Va. 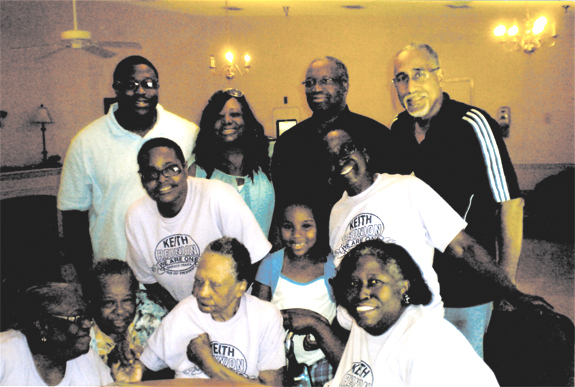 The Keith Family celebrated its 12th annual family reunion at The Embassy Suites in Cary July 12-14, with Keith family members, who descended from slave ancestor Hannah Keith, in attendance. The reunion started Friday night with a meet and greet social and registration. Franklin County children in need of school supplies and clothes will be helped once again this year through a partnership with the United Way of Franklin County, Franklin County Schools, N.C. Communities in Schools and Walmart in Louisburg. The effort kicked off July 20 and continues through Aug. 31. It is part of a statewide campaign – “Build A Backpack” – to help economically disadvantaged students get a good start to the 2013-14 school year.